Your manners are always under examination, and by committees little suspected, awarding or denying you very high prizes when you least think it. In today's highly competitive corporate arena, proper etiquette is considered an essential tool. While etiquette alone won't replace business savvy, the lack of it will sabotage your best efforts. 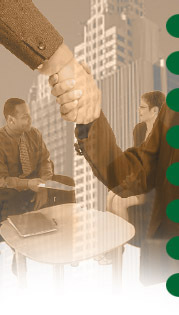 BUSINESS AND SOCIAL ETIQUETTE will fine-tune your social demeanor putting you in position to outclass your competition.